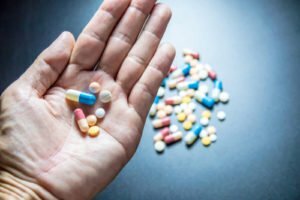 How often do I need training? Frequency of training is dependent on policy, policy decision should be based upon risk assessment, types and complexity of client needs, and handling required. 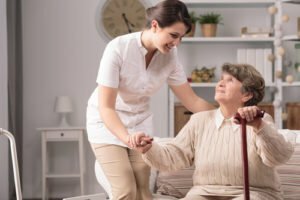 We recommend new staff undertake an initial foundation level manual handling course covering all of the basics required in the care environment. For experienced staff a 3 hour update, covering core skills. What manual handling training do my general staff need? For staff handling inanimate loads we recommend a load handling course covering legislations, risk assessments and principles of handling. 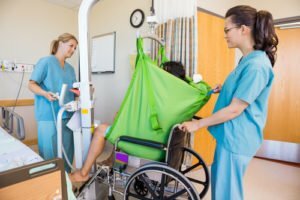 Can I train my own staff in manual handling? We recommend that you undertake a reputable train the trainer moving and handling course. How do I size a sling for my client? All manufacturers’ guidelines vary. We recommend checking the size guidelines on the manufacturers’ website. How often does my hoist need to be checked? The lifting operations and lifting equipment regulations stipulate that all people lifting equipment and accessories should be checked every six months by a competent person. 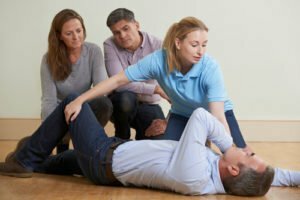 What kind of First Aid training do I need? We would recommend your training is based on the number of staff in your company, the nature of your business and your own company policy. Do I need to do a full first aid course again once my certificate runs out? When the Emergency First Aid at work certificate runs out, renewing it would mean completing the same 1 day course. 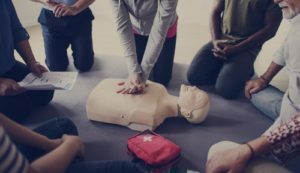 However, when the 3 day First Aid at work certificate runs out, a delegate can complete the 2 day First Aid at work requalification, providing that they complete this course no longer than 28 days after their certificate has expired. What is the difference between a requalification course and a refresher course? The refresher is the chance to keep your skills fresh and practiced. The requalification is your qualification renewal. 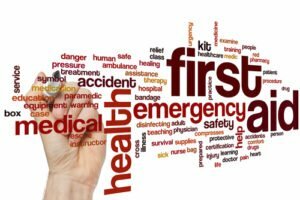 Do I have to provide First Aid assistance outside of work? No, there is no legal obligation. Everybody. Accidents and emergencies happen everywhere and at any time and First Aid knowledge is a good life skill. Our training is designed to give some simple, straightforward skills to be a primary contact in an emergency situation. 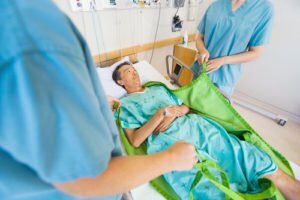 Does my company need only one First Aider? It is best practice to ensure you have sufficient trainers to cover your business in case the usual First Aider is sick, on a different shift pattern or on holiday. Does a First Aid at Work course qualify me to give out medicine? No, the course references asthma, anaphylaxis and diabetes but will not give you a qualification in administrating medicines. 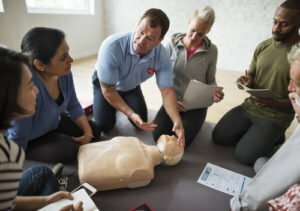 Can I help a child if I have only done an adult First Aid course? Yes, for most First Aid treatments are the same. Child and infant-specific CPR is referred to on the course. What is the minimum age to learn First Aid? While some skills require a certain level of physical ability and maturity, the general life skills and practice can be adopted to most age groups. Do I have to have the Health and Safety poster? Does the Health and Safety poster need to be filled in? No, however it can help provide useful information to your employees such as names of people with health and safety responsibilities. 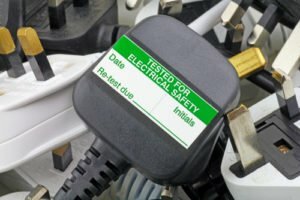 Do I have to have portable appliance testing (PAT) every year? 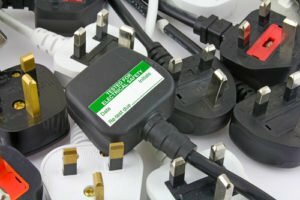 PAT isn’t a legal requirement, but the law does require that all electrical equipment that they provide in their business is safe and properly maintained. Do I need a written health and safety policy? 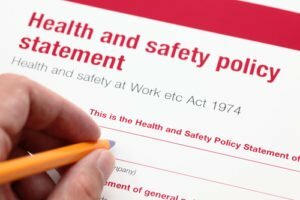 If you employ five or more members of staff your health and safety policy should be in writing? 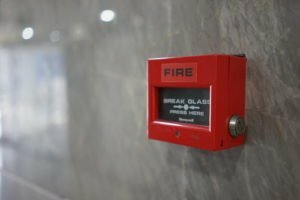 All commercial premises, including common areas of some residential premises require a fire risk assessment. No, you must keep records in a confidential manner, however this could be electronically, a form or similar depending on the requirements of your business. Do all accidents need reporting to the Health and Safety Executive? 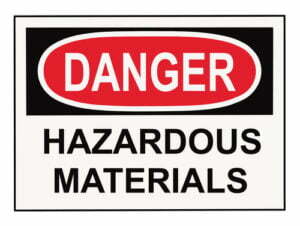 COSHH stands for the Control of Substances Hazardous to Health, legislation that covers chemical safety in workplaces. 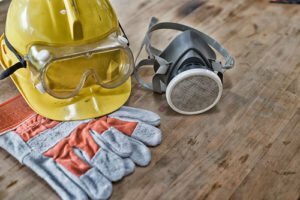 Do I need to provide my own PPE? It is the responsibility of the employer (or self-employed person) to provide the appropriate PPE required to carry out your job safely. 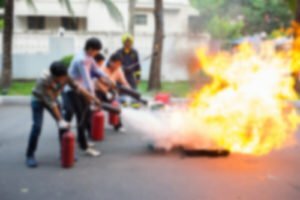 Do I have to have Fire Marshalls? No, but a competent person is required. Do I have to have a fire alarm? No, but consider size of premises, use of location and nature. How much for a fire risk assessment? This is dependant of the size of property and if a full Fire Risk assessment if required or just the communal areas. How many people can attend a fire course? At Acorn the maximum is 15 people. On site – Maximum is 15 people, but this is dependent on space for delegates, room for the live fire element. 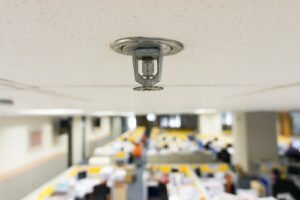 Does my landlord need to provide a Fire alarm / smoke detector? Smoke detector is required on each floor. Carbon Monoxide detector is required if solid fuel is being burned. 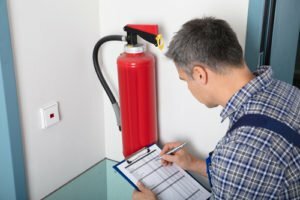 How often is a review required for a Fire risk Assessment? If changes are made to work activity, tenants, work layout, occupancy, nature of the premises use. Do you have to have items PAT tested? You should ensure electrical systems are safe to use, PAT testing can indicate that equipment is electrically safe. Should I stay put in a Fire? This is based on your own policy, and the arrangements for safety are in place. 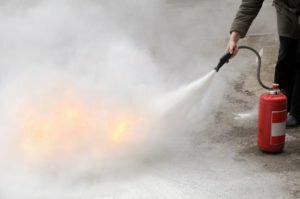 When should you fight a fire? Only if it is safe to do so and you are competent.